Since this will be my first Christmas on Feasts for All Seasons I have been thinking on how to go about sharing holiday foods with you through stories and recipes. It seems that, to be most effective, I need to post things well in advance in case you want to make them and incorporate them into your seasonal repertoire. There are plenty of old family favourites that I will get to as November wraps up and we move into December, but I also wnat to come up with some new flavours of the season and expand my own repertoire. As I was brainstorming and making lists of must-have recipes to include over the next 5-6 weeks, I tried to consider all kinds of meals, sides, desserts, appetizers, even cocktails. Then I tried to organize those ideas in terms of flavour. 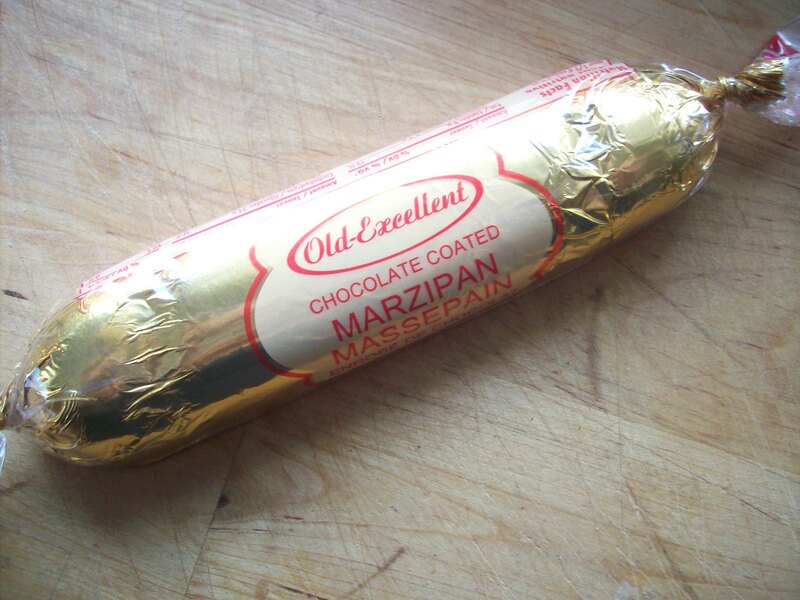 The very first Christmas flavour that jumped out to me was marzipan. From there I extrapolated to chocolate and marzipan, from there to a memory of a recipe I will have to dig up from my aunt’s 1960’s edition of The Joy of Cooking which is called ‘Old World Chocolate Spicecake with Citron’. That left me pondering the chocolate, marzipan, spice and citrus combination, all of which, to my tastebuds, are essential flavours of Christmastime. Could it be done? Then my mind wandered to the half loaf of leftover French bread in the bread basket, and ta-da: Chocolate Marzipan Bread Pudding. Raise your hand if bread pudding makes you nervous? Is it a texture issue? You’re not alone. In the context of bread puddings, most people are fairly divided because of their ‘soggy’ bread texture, my self included. You either love them or … not. I was somewhat converted by a local restaurant’s chocolate banana bread pudding which is rich and enjoyable, but still has that sodden custardy texture. 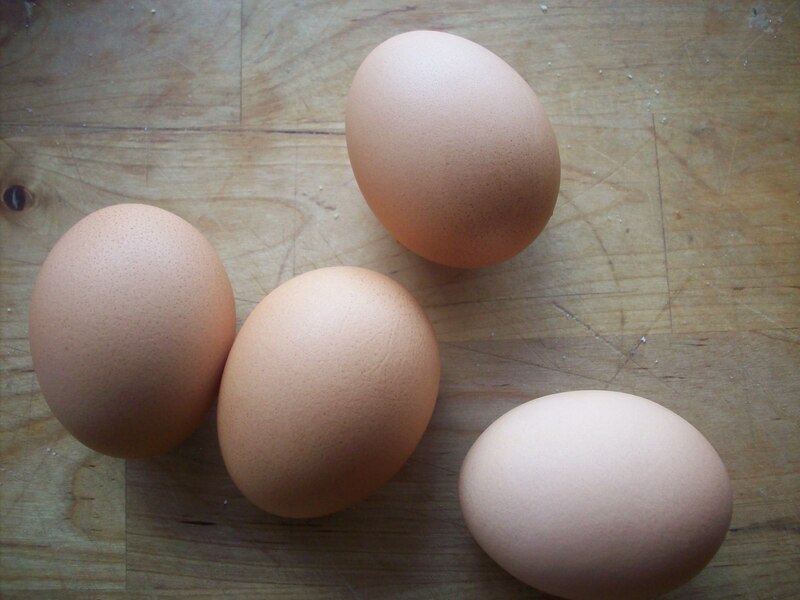 The (often desirable) soft texture is achieved through an eggy custard that sets around and through the bread through the continuous and moist heat of a ban marie. 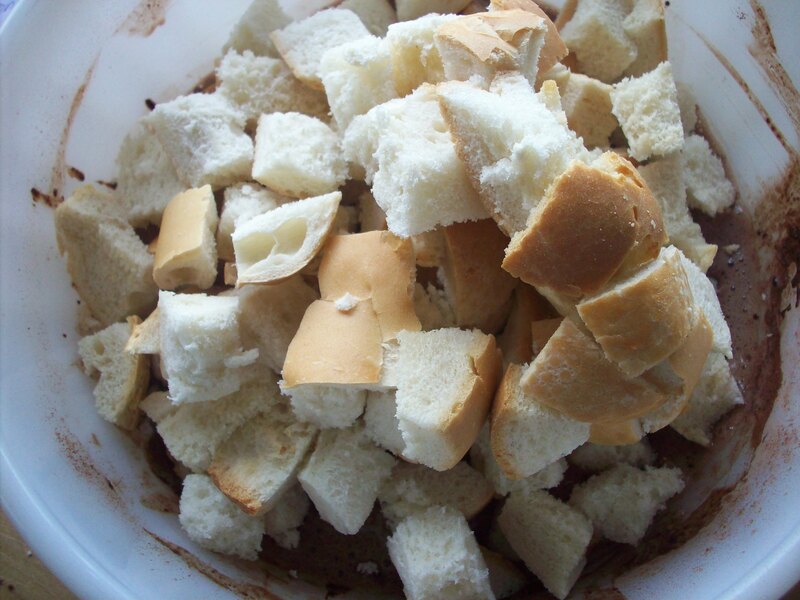 A ban marie is a water bath by which things like custards are baked in a casserole dish that sits in another larger dish filled halfway with hot water. The water surrounding the smaller dish gives it a long warm hug while in the oven and allows the custard to heat gently and thoroughly while contributing moisture to the environment of the oven. After my flavour epiphany, I paused to consider the potentially over-soft center of this otherwise perfect dessert. But what happens if you make a bread pudding without the ban marie? My best guess was that it would be less soft, the top would be crunchier and the inside would remain tender without being a silky mush. I decided to try it. I was please to find that it worked. It had a chewy crust with damp, not wet, warm chocolate and spice beneath. It was everything I dreamed it could be. If you are a die hard soft-center bread pudding fan, make this in a deeper dish and water bath. No matter the texture, it tastes great and has every sweet flavour of Christmas in it. 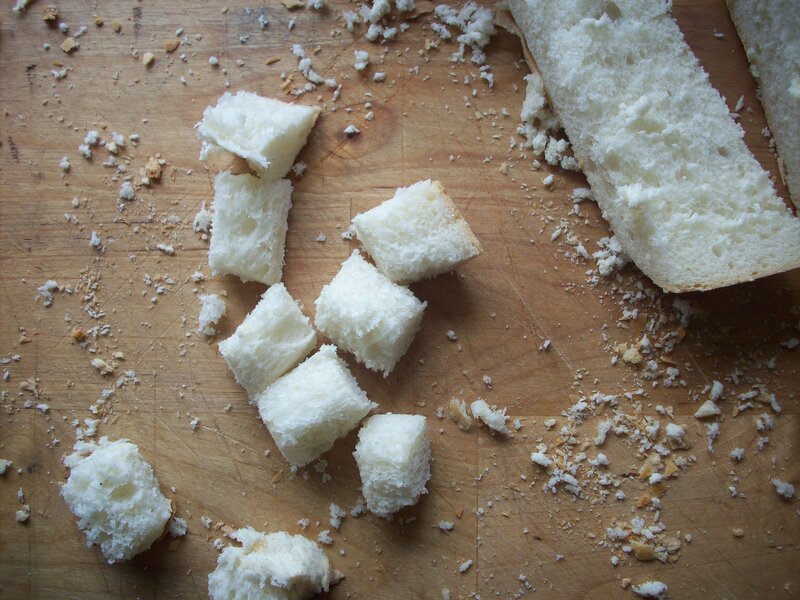 Begin by cutting the bread into small cubes. 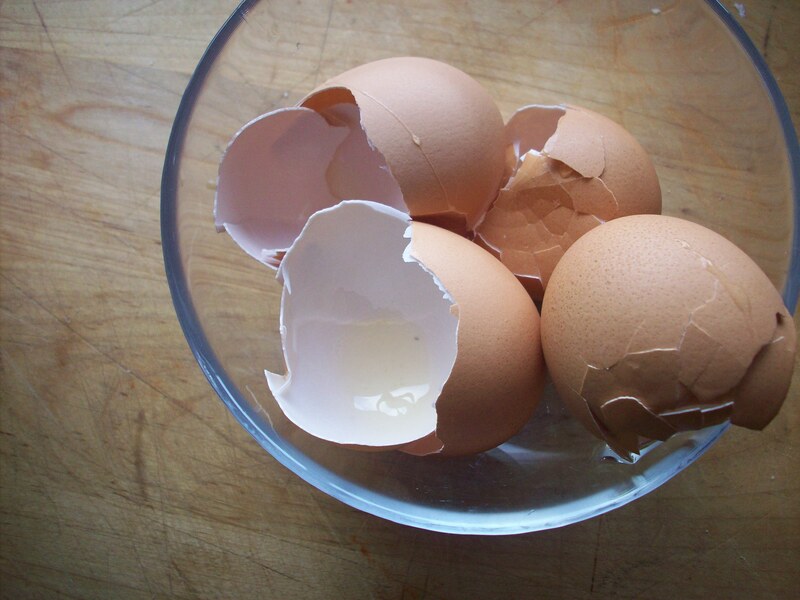 Start with the 4 eggs in a medium sized mixing bowl. 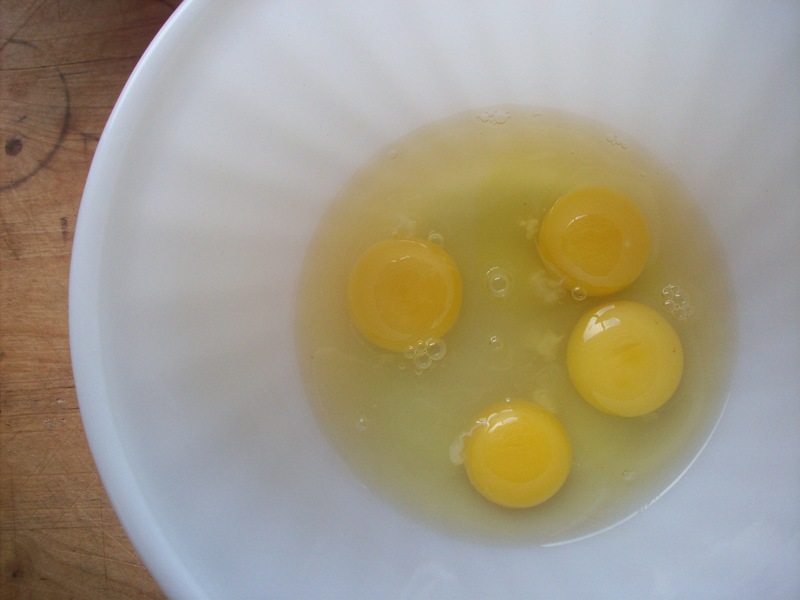 Beat the eggs well with a fork to fully incorporate the yolks and whites. Add the sugar and continue to mix thoroughly by hand until the mixture becomes paler and the sugar is dissolved into the egg. 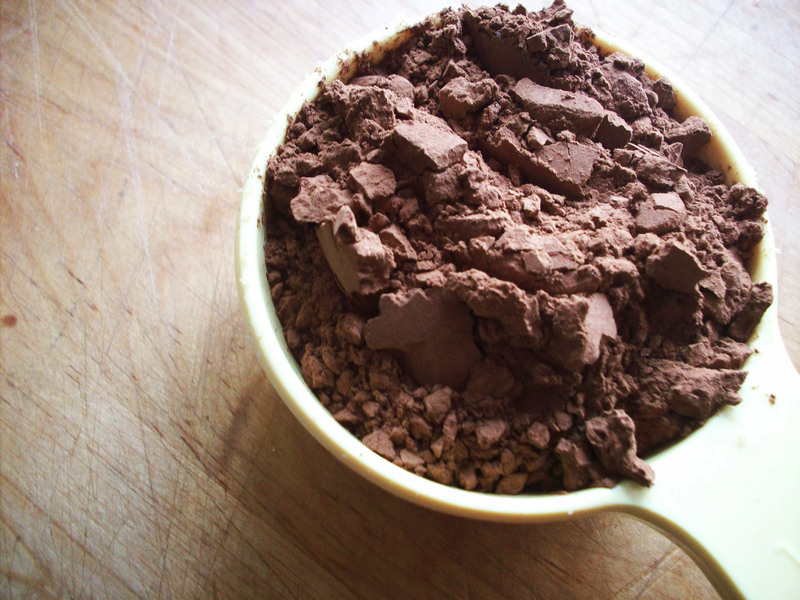 Mix the cinnamon and nutmeg with the cocoa. Add the spice and cocoa mix to the eggs and mix thoroughly. 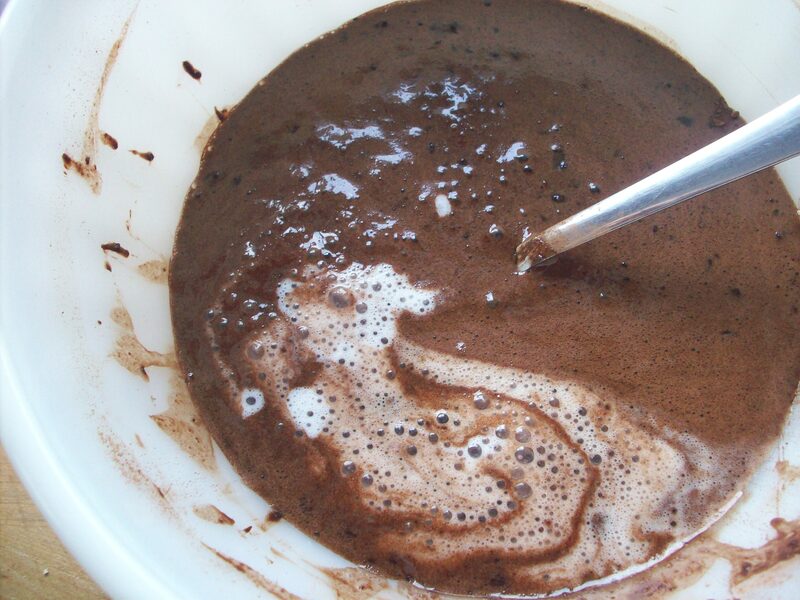 It may take a few minutes of stirring to fully incorporate the cocoa, which will stubbornly sit atop the liquid. 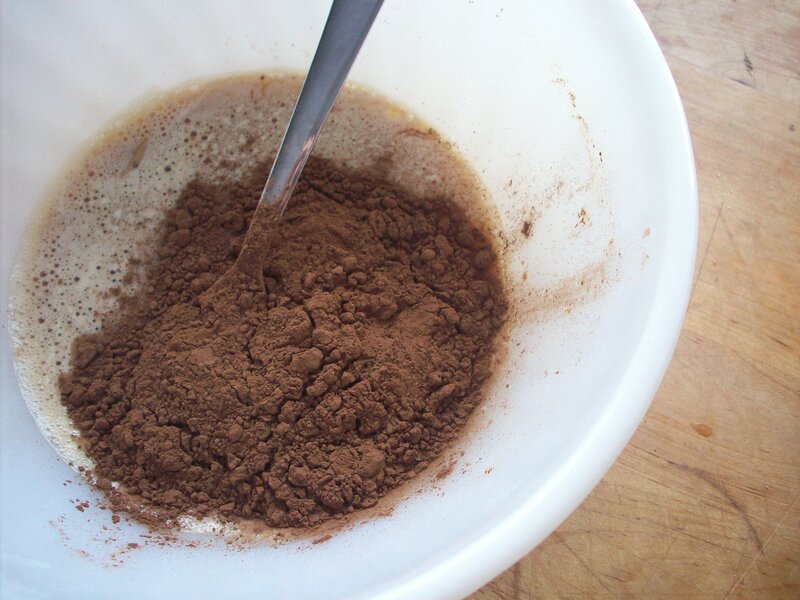 Once the cocoa is mixed in, add the extracts and milk. 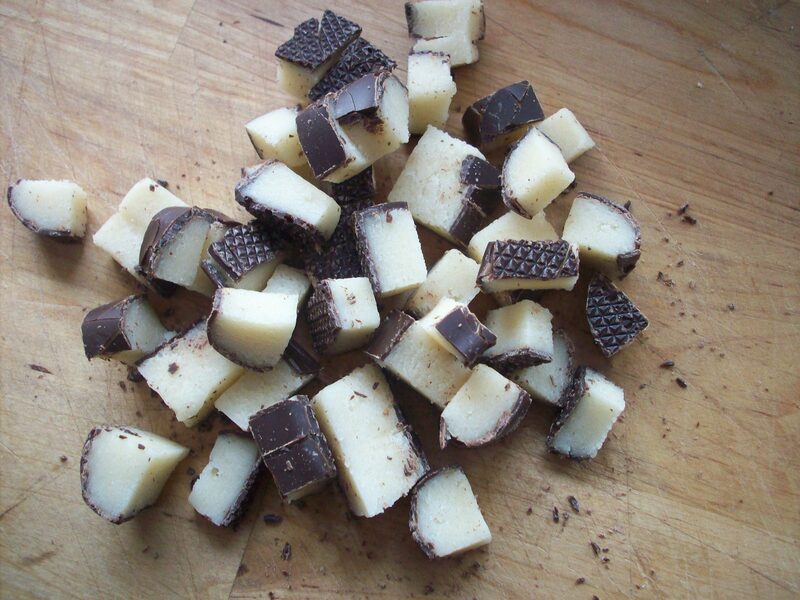 Then add the bread cubes to the chocolatey custard, stirring gently, as little as possible to immerse each cube. Try not to break up the bread too much. 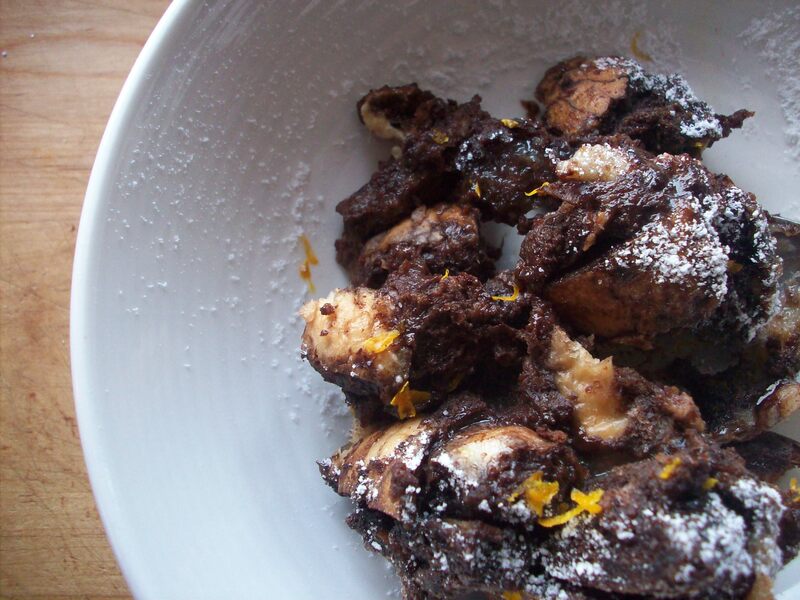 As the bread sops up the chocolate custard chop a 100g log of chocolate covered marzipan and mix it in gently. Fill a buttered casserole (deep if you want to use a water bath* for a creamy pudding, shallower if you want lots of chewy-crisp surface area and don’t plan to bake it with a water bath). Bake for 25 mins at 350. Once it’s done, grate the zest of 1/2 a small orange over the top for a complimentary whisper of citrus. A snowy sprinkling of powdered sugar will give it the final seasonal touch. A drizzle of cream or a pillowy mound of whipped cream wouldn’t be bad either. Or a pool of egg nog. Or icecream. Or have it as is. Bon appetit! * If you go for a deep casserole and water bath, boil the kettle while you assemble the pudding. Once it’s ready for the oven, set the pudding (in it’s buttered casserole) into a larger dish or roasting pan and set in the oven. Don’t try to fill it on the counter and carry it to the oven. Carefully pour the whole kettle’s worth of water into the larger pan filling it halfway up the bread pudding dish. Bake for 25 mins as described. Remove carefully from the oven. Please don’t scald yourself, I would feel terrible if you did.